Meh, it’s Monday. The time to carry yourself to work and hope that the day will go quickly. Maybe you even updated your status to let people know that your malaise is due to not remembering how the days of the week work, “Ughhh monday”, only to have friends follow up with support, writing comments like “I know hun, but it will be wine o’clock before you know it! lol”. How do CEOs jolt their workers out of this cycle, and get them excited about their jobs? Sure, they don’t own the company but surely they should feel excited about being part of such an exciting dynamic company, even if it’s just a local suburban accounting firm. If you are like the new rise in motivational CEOs you may start swapping job titles for descriptive names. 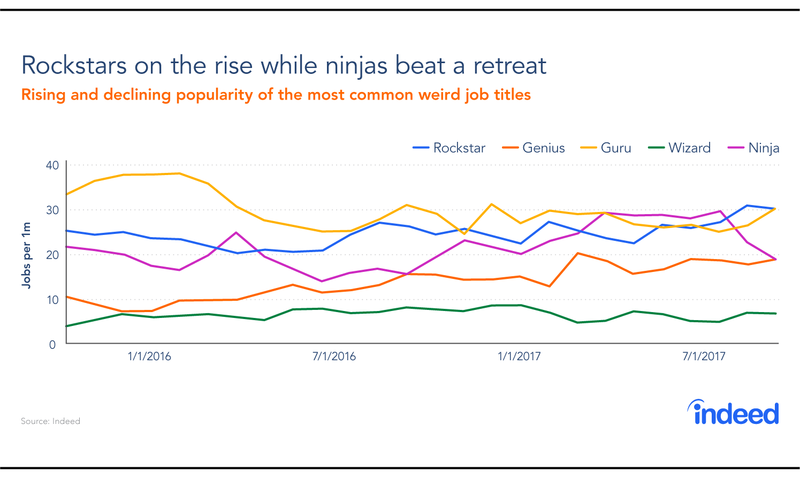 If your sales director is now given a business card that calls him a “Sales Ninja”, or your account managers are now called “product evangelists”, surely there will be some sense of renewed sense of excitement. As in, Receptionist Wizard. Could that be anymore depressing? It’s almost like changing your Facebook title to “CEO of the household” when you are a stay at home mum. No need, we get it, you’re the boss at home etc. The question remains however, is this just covering up a dull job for the sake of a bit of “kooky PR”, or is it signalling a new way forward where people are actually far more excited about their work lives. It really depends on the culture and the mission of the company, when you consider that stats from Silicon Valley indicate a high job satisfaction (96%) but equally high stress (44%). It is obvious that a dressed up job title should indicate a company innovating their way into a sustainable future – slapping “Wizard” onto a business card won’t inspire staff in a boring and stagnant environment. The key takeaways from this move should be more around better understanding what it takes to actually ensure staff feel committed and dedicated to a role, and that has less to do with titles and more to do with their environment. Maybe the real job title change should be that of CEO, as Chief EXCITEMENT Officer! Not even trying to do a schtick here, that is already a thing too. Meh, Monday.